The Ningxia Hui autonomous region has made historic achievements in social development since it was founded 60 years ago, the chairwoman of the region said. 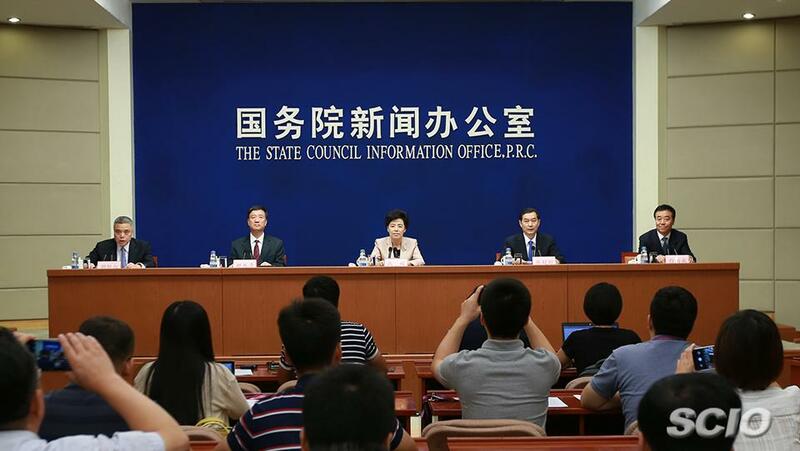 "The region has always prioritized economic development, and its economic power has become stronger than ever," Chairwoman Xian Hui said during a news conference of the State Council Information Office of China in Beijing on Thursday. Ningxia, in northwestern China, was founded on Oct. 25, 1958, and has a population of 6.82 million. It is home to people from many ethnic groups, including Hui, Uygur and Dongxiang. About 20 percent of China's Hui population lives in Ningxia and a majority of them are Muslim. This year marks the 60th anniversary of the founding of the region. The region's GDP reached 345 billion yuan (US$52.2 billion) in 2017, more than 1,000 times what it was in 1958. Ningxia's GDP per capita in 2017 was 50,197 yuan, an increase of about 284 times since the beginning - an average annual growth rate of 7 percent. As a landlocked region, poor transportation infrastructure has long been a factor that has hampered development. Now the region has made breakthroughs in connectivity, Xian said. Currently, there are three high-speed railways under construction in Ningxia, connecting the regional capital of Yinchuan with Xining, capital of Qinghai province; and with Baotou, in the Inner Mongolia autonomous region. Another line connects Zhongwei with Lanzhou, Gansu province. "Ningxia people's dream of having high-speed railways is about to come true," she said. Ningxia has also made strides in poverty alleviation, Xian said. The region has lifted 3.3 million people out of poverty since 1958, and about 21.8 percent of them left their impoverished lives behind in the past five years. Ningxia has relocated 1.3 million people who had lived in mountainous areas under harsh conditions so they can have better lives, she said. Despite the achievements, poverty alleviation remains a grave challenge for the region because there are still 238,900 people living in poverty, all of whom must be lifted out of poverty by 2020 as required by the central government, Xian added. As a region with people from many ethnic groups who practice different religions, Ningxia has always attached great importance to ethnic unity and religious harmony. As a result, social stability in the region has been maintained. Ningxia will host a series of events starting in mid-September, including ceremonies, galas and exhibitions, to celebrate the anniversary and achievements. A delegation from the central government will also visit.